Mold is a serious problem in homes that are exposed to water or other factors that aid the growth of molds and fungi. There are numerous health risks associated with breathing in and being exposed to mold, so counter mold growth as soon as it is discovered. Use bleach and warm water to clean any areas affected by mold. Unfortunately, not all mold spores will be eliminated by surface cleaning. 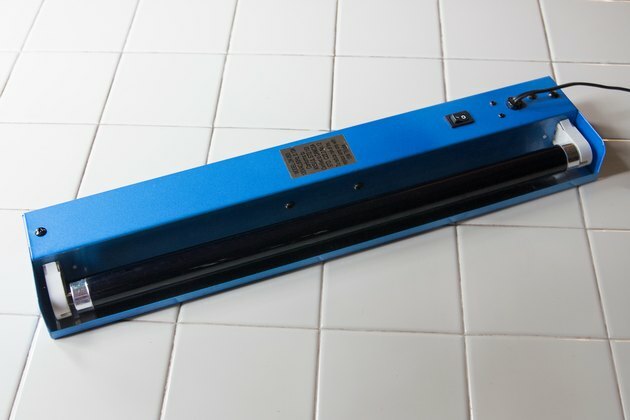 In these cases, ultra-violet (UV) lamps are effective in killing mold and mold spores. 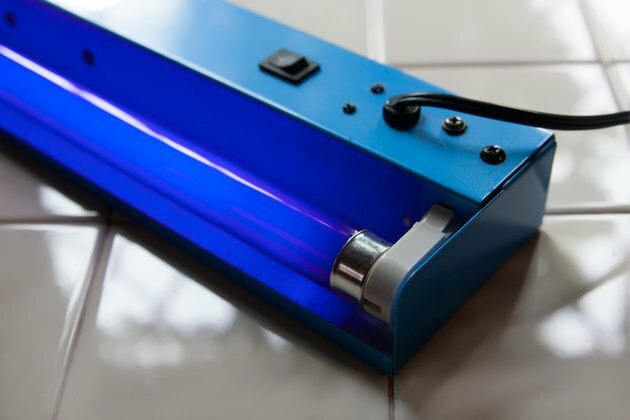 UV-C lamps, which provide UV light on the C-bandwidth) are best for dealing with mold problems, as other types of UV light don't damage the mold enough. UV-C lamps have been used in hospitals for years in order to kill and control germs and mold, according to American Air and Water. Purchase a UV lamp. 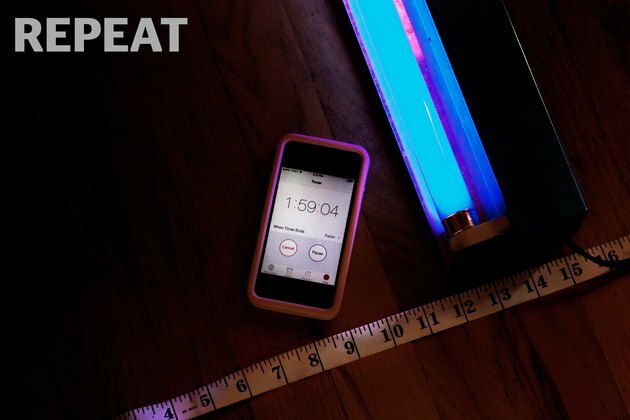 Get a lamp that emits UV-C light for the best results in killing off mold and mold spores. 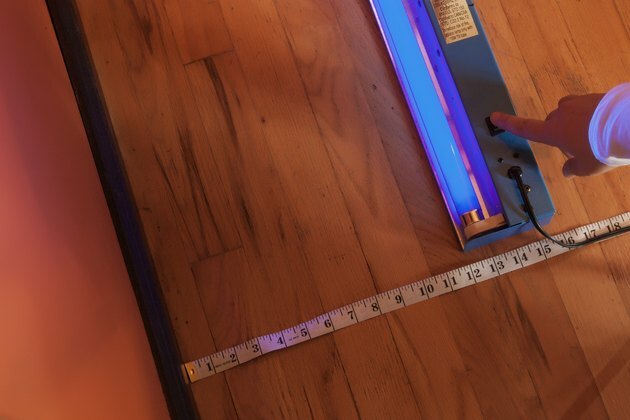 UV lamps can be purchased at most hardware stores or online. Wear a pair of UV-opaque goggles or glasses when working with a UV lamp, as the light can be damaging to your eyes. 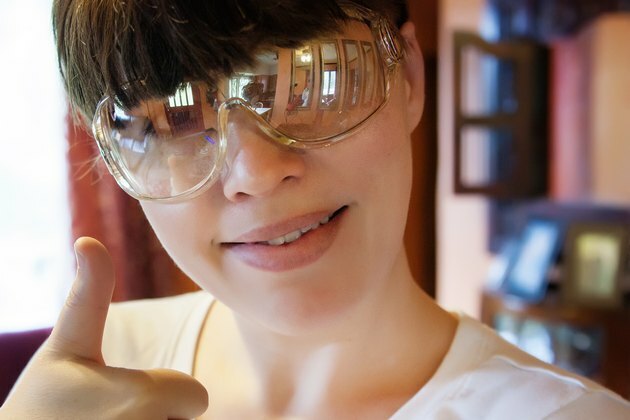 Goggles that protect your eyes from harmful UV rays can be purchased from a tanning salon or online. Place the lamp in front of the mold stain and turn it on. Put the lamp one foot away from the wall. Be sure you are wearing your goggles before working with your lamp. Leave the lamp in one place for one to two hours. 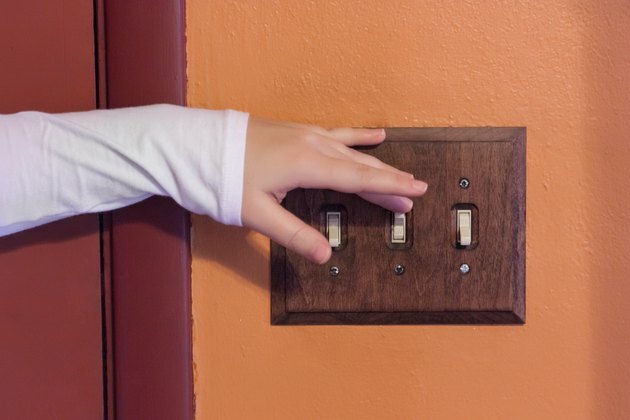 Turn off any other lights and close the door while waiting. Return to the room after the appropriate time has passed and reposition the lamp so that it faces another part of the stain and leave it for another hour or two. Make sure the lamp stays one foot from the wall. Repeat this process as needed based on the size and number of mold stains. What Is Causing Painted Bathroom Walls to Look Chalky in Some Spots?